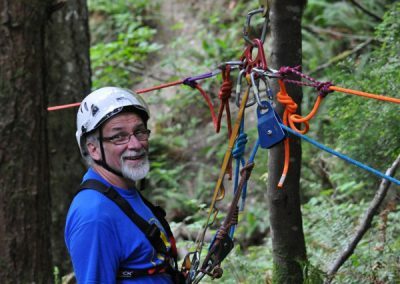 Thank you for your interest in Comox Valley Ground Search and Rescue (CVGSAR). We are regularly on the lookout for people who wish to volunteer for their community. If you are interested in becoming a member, please read through the following information to see if you are a fit and can make the necessary commitment. You will find application information at the bottom of the page. CVGSAR as an organization is committed to inclusivity and diversity. We encourage applications from people of all national and ethic groups, abilities as well as gender identities. Upon acceptance into CVGSAR you will become a Member in Training (MIT). A MIT is a probationary, non-voting member of the team who is engaged in learning the skills required to become a full team member. 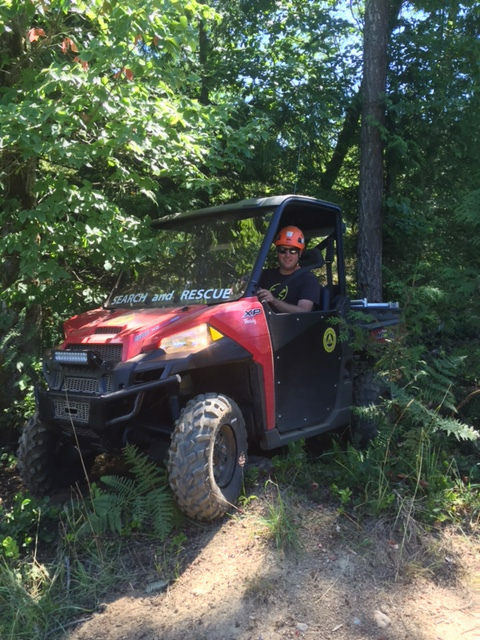 This can be an up to 2 year period during which the MIT participates in regular training, callouts, and receives ground search and rescue certification (the GSAR course). MITs have to pass a practical and written examination, as well as meet attendance and other performance criteria before being brought on as a full and active member. Special skills or experience will be considered assets, including emergency services, guiding background, ski patrol, fire fighting, computers, radios, mechanics, media and/or fundraising. 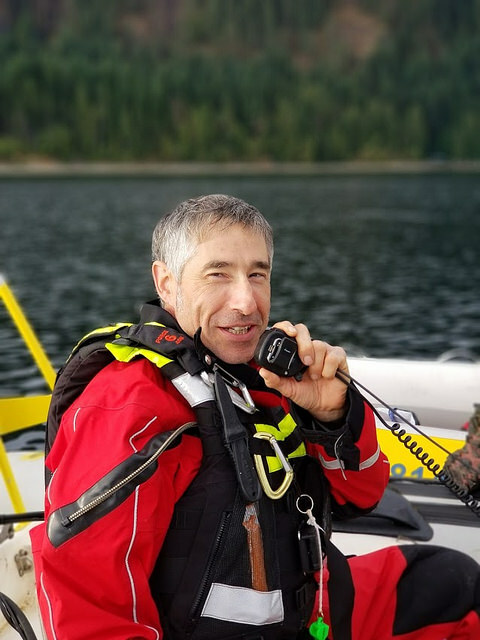 We encourage people who are considering applying for membership to take this free online introductory SAR course developed in cooperation with the BC Search and Rescue Association, the Justice Institute of BC and the RCMP. 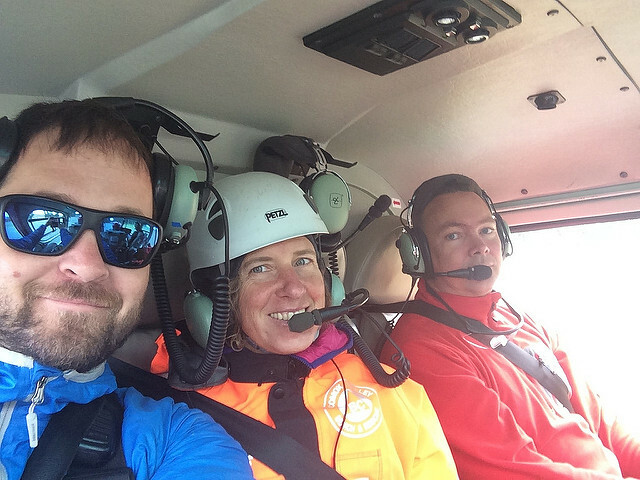 While this is not a requirement for membership on the team it will give you some idea about how SAR works in BC. The team schedules an evening session to provide more information and answer questions. Prospective members submit a written application and cover letter. Applications are reviewed and qualified candidates are invited to an interview. Applicants attend an interview of about 30 minutes with members of our recruitment committee. If you are not selected we will let you know. Those who are selected will need to complete a criminal record check (free for volunteers) and submit an up to date driver’s abstract from ICBC. New members join the group on a probationary basis for a minimum period of 3 months before being invited to take the GSAR course. Invitation to the course will be based on attitude and fit with the team, in combination with attendance to team training nights. Any applications that we receive between intakes are evaluated and kept on file, and we will contact you when the next intake occurs. 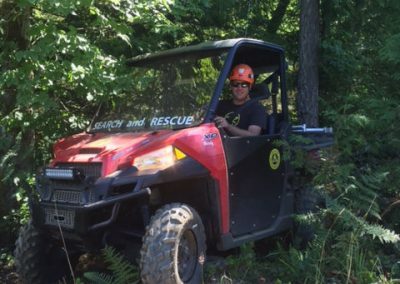 CVGSAR is a skilled team of volunteers who search for missing persons in the Comox Valley. Our mandate also includes wilderness rescue. Our area ranges from the Oyster River in the north, Cook Creek in the south, Buttle Lake in the west to Georgia Strait in the east, including Denman and Hornby Islands. 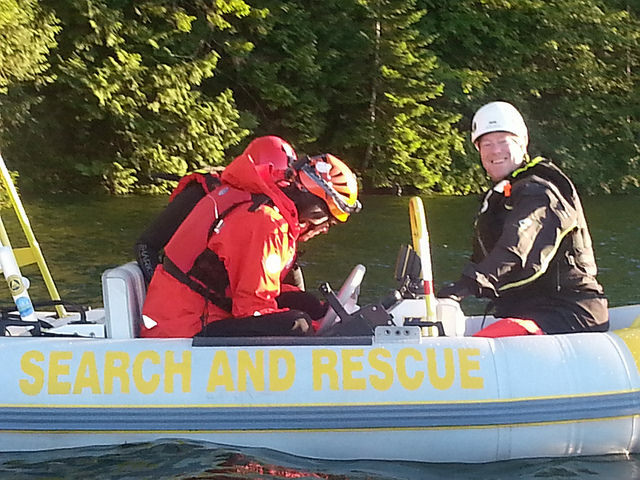 We work closely with other BC Search and Rescue groups to provide mutual aid to other BC communities. While we receive limited government funding, this is insufficient to cover expenses. The team also receives donations from grateful individuals and families and applies for available grants (from both the private and public sectors). In addition, team members spend significant amounts of their time fundraising. How often are you called out? Callouts depend on the frequency that people get lost or require rescue but are more frequent when the weather is conducive to outdoor activities. Over the past several years the group has averaged 40 callouts per year. How long do the callouts last? Callouts can range in time from approximately one hour to overnight, if a forced camp in the backcountry is required. Some tasks span multiple days, although individual members work in rotations or shifts. CVGSAR has 60 members but not all members are active all the time. Teams are never deployed into the field with less than two people. What is the Ground Search And Rescue (GSAR) course? GSAR Training is provided through Emergency Management BC (EMBC) and the Justice Institute of BC. The GSAR course is required for all members of CVGSAR. 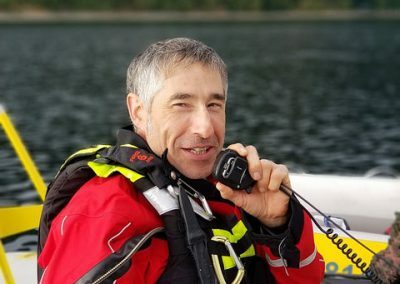 It includes both lectures and practical sessions on evenings and weekends and covers a wide range of topics including: radio use, basic rope work, basic first aid, navigation using maps, compass and GPS, search techniques, swift water awareness, and survival skills. The GSAR course is conducted based on need so new MITs may have to wait many months before being fully operational. Volunteers are expected to obtain their OFA1 or equivalent First Aid on their own before they can be certified for GSAR. Being a member of CVGSAR is a huge time commitment. Each member can spend literally hundreds of hours a year on team activities. General training is Wednesday nights, plus one weekend per month; there is a minimum requirement of 30 hours of general training per year to be field active. There is additional training for specialty teams such as rope and swift water once or twice a month – both these team require a minimum of 20 hours training per year. In addition, time is required for business meetings, special courses and other activities like fundraising, community events or education. Call-outs are often at night in bad weather. The team consumes a lot of members’ free time. The time commitment cannot be emphasized enough. We are on call 24 hours a day, 7 days a week. It will impact every aspect of your life. You must have an understanding and supportive family, and ideally a work situation that will tolerate you leaving with minimal warning. What is the skill and equipment requirement? 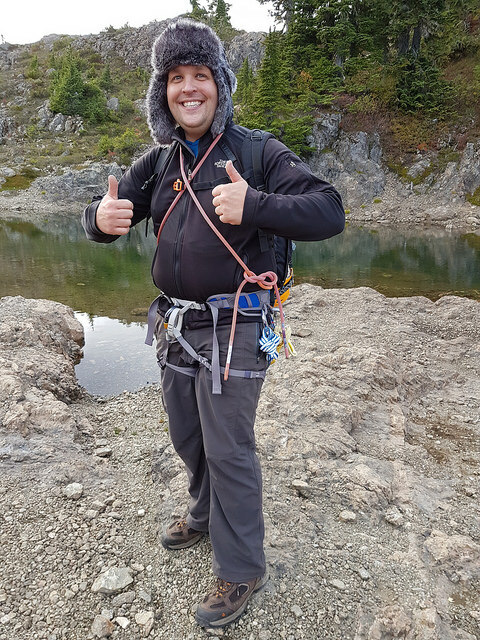 CVGSAR is not a hiking club, nor will we turn you into a mountaineer. Our training is to enhance skills that you already have. It is preferred that applicants already have experience in a variety of outdoor situations (i.e. hiking, climbing, mountaineering, backcountry skiing, snowshoeing). No. Everybody is a volunteer, providing their own time for training and searches. In addition everyone provides his or her own personal equipment. Some expenses are paid, such as gas for driving to a task, and the team provides most specialty equipment. However almost everything else is paid for by the team members themselves. You must be 19 or older (or 16 with parent/guardian approval). Do you have roles for people who don’t go into the field? Auxiliary members must still complete the full GSAR training, except for the overnight component.